It began in 1932, with the women of a Seattle bridge club and a great idea they had for an easy-to-make pie crust. 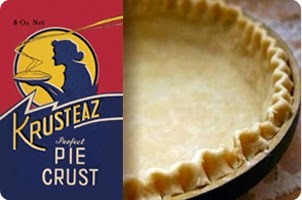 Since then, Krusteaz (a clever combination of 'crust' and 'ease') has come to stand for home-baked and convenient fresh-from-the-oven goodness. That spirit of innovation continued with the introduction in the 1940's of our Krusteaz "just add water" Pancake Mix, a unique concept at the time, and one of the products we;re most known for today. In the 60's, we spread the word in a way that was as novel as our pancake mix: the Krusteaz Kurtesy Kitchen, a fully-equipped "traveling diner" that served up free pancake breakfasts throughout the Northwest. Over the years our product line has expanded to include biscuits, muffins, brownies, breads, desserts and more for an ever increasing loyal following practically any place people enjoy delicious pancakes and baked goods... in homes, at restaurants, for our armed forces and we were even the brand of choice served to the thousands of hungry workers who built the Alaska Pipeline! The innovative spirit that helped us grow from a popular Northwest tradition to a national favorite continues to inspire us as we ceate new ways to delight the next generation of Krusteaz families. After the tour of Krusteaz Headquarters, we headed into the Krusteaz Test Kitchen, often used to research and development. We spent the rest of our visit doing what we do best - playing in the kitchen! 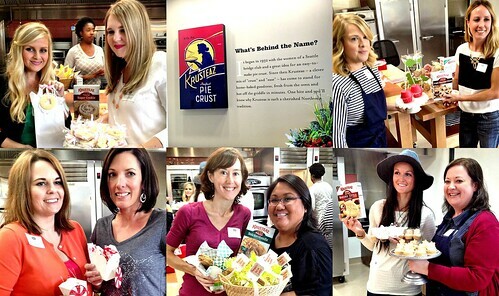 We had a food challenge in which we paired up with each other to participate in a Krusteaz holiday cookie swap. Any holiday or occassion could be represented and aside from creating a treat using a Krusteaz baking mix, it must also be packaged up for gifting. - DeLaurenti.... Here, I made note that they sell Salumi Salame, an amazing salame made at the very popular Salumi restaurant in Seattle. The restaurant is run by the parents of Mario Batali, so you know it's going to be good! Rather than risking a long wait in line at the Salumi restaurant, you can buy the same salami here without any wait. Granted, it's priced just a touch higher, but for the convenience and time savings, it's worth it! - Pappardelle Pasta... Here, I specifically wanted to pick up some gluten free pasta. It's not very often I'll find some unique flavored and even unique shaped GF pasta, but this place has some of the best around! - Sosio's Produce... Here, my mouth waters for their 'OMG Peaches.' It's unlike any other peach I've had and I really do think to myself, 'OMG!' after biting into one. It's so sweetly ripe without the mushy texture you'd expect with a perfectly ripened peach. - Original Starbucks... Not really on my list of must stop places this time, but some of the gals were interested in checking out the location of the original Starbucks. If you love your coffee, it's a neat place to see, but not really worth ordering from. The lines are usually out the door (because of the novelty of the store) but there is practically a Starbucks on every corner in downtown Seattle lol. - Jack's Fish Spot... Here, I picked up some Salmon Candy. I know, it's sounds odd, but really, it's cuts of smoked salmon that's been smoked with a sweet brown sugar mixture. It's smoky, sweet and delicious! - Ellenos... Here, I found my new addiction, Greek Yogurt. I'm really not a huge yogurt fan but until I tried the Greek Yogurt here, I simply cannot look at Greek Yogurt the same and have been an Ellenos convert. It has the creamy, rich texture of gelato without the tang of typical yogurt. And when I found out they ship, I think I'm going to have to create a budget simply to feed my addiction. 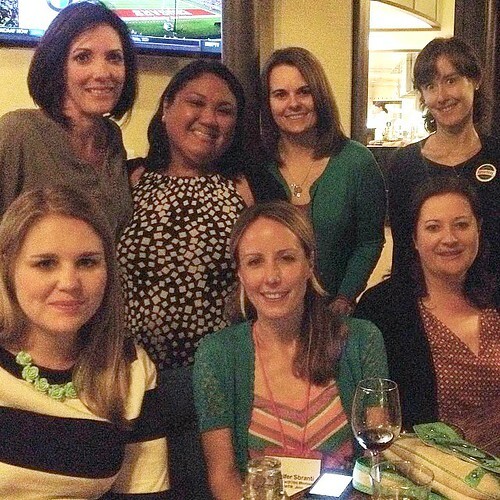 The next day was spent enjoying the educational sessions of IFBC, time exploring Seattle and relaxing a bit. A special part of the day was attending the Krusteaz session where a cooking demo was done, highlighting the new Flatbread Mixes and party ideas presented by Malia of Krusteaz and Jen of Hostess with the Mostess. It was great watching them both share some great tips, tricks and recipe ideas! We ended the fun conference that night with the IFBC Gourmet Fair where many food companies, restaurants and other brands were there to share their products and dishes. Most of the Krusteaz Baker's Dozen met up at the fair, followed by dinner/dessert together before we all headed our separate ways in the morning. It was such a wonderful time getting to know fellow food bloggers, sharing our experiences, and really having a chance to bond with each other whether it was creating recipes in the test kitchen, exploring Seattle together, sharing a meal and working together with a fantastic brand. 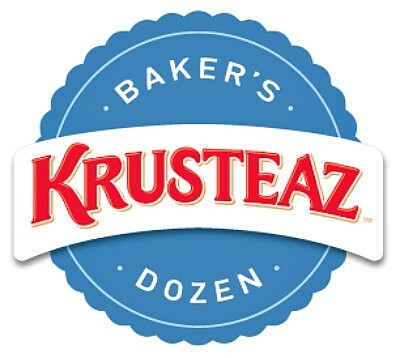 All in all, it was a fantastic time and I highly encourage you to check out the websites of my fellow Krusteaz Baker's Dozen if you haven't already! They are all such amazing, talented women who I not only enjoy their work but enjoy their company and I hope to see them all again soon! Disclosure: Krusteaz provided travel, accommodations, and conference admission for me, however all opinions written are my own. Great recap! So nice meeting you. 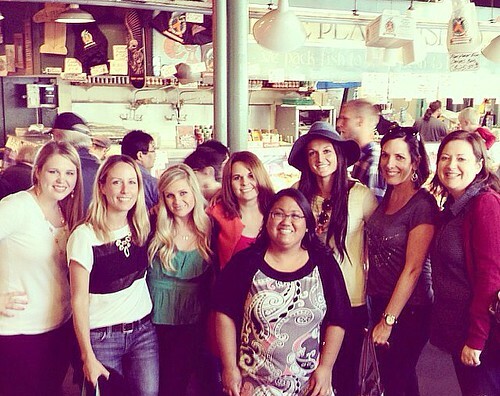 Thanks for letting me tag along with your tour of Pike Place Market!